Sleep is one of the most important things you can give your body to ensure health and happiness. However, it’s not always easy to achieve sleep the way that it’s intended to be truly well-rested and to aid in being productive throughout the day. The American Sleep Association (ASA) reports that between 50 to 70 million adults have a sleeping disorder while 35.3 percent of adults report that they sleep an average of less than seven hours during a typical 24-hour period. Since the average adult requires between seven and nine hours of sleep each night, that means that many adults aren’t even meeting this minimum on a nightly basis. A healthy amount of sleep can lead to many benefits, including things like increased concentration and productivity, a faster metabolism, and a decreased risk of depression. An adequate amount of sleep can also improve the function of your immune system, improve memory, spur creativity, and encourage a healthy body weight. As you can tell, receiving enough sleep is vital to one’s overall health and well-being. However, many Americans don’t receive even the recommended minimum hours of sleep to achieve these benefits. 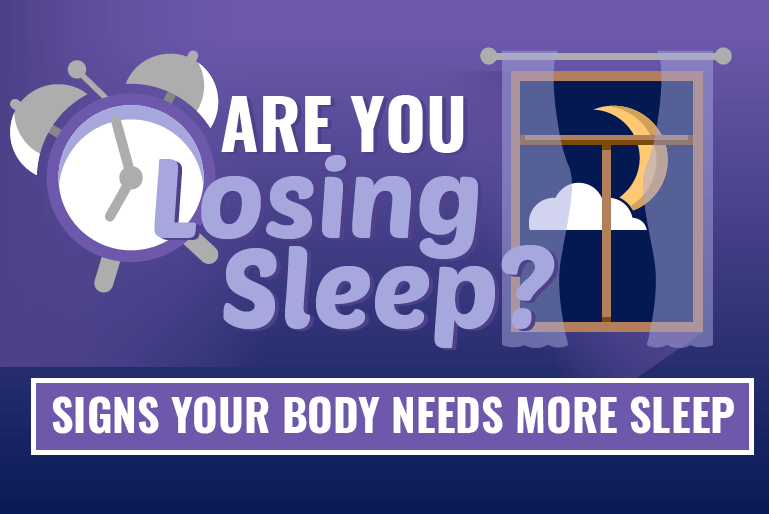 There is a range of factors that contribute to the loss of sleep, from sleep disorders to heightened anxiety. Understanding the signs your body gives you to signal that you need more sleep to determining when to see a doctor are important steps in ensuring you are receiving enough z’s to remain healthy and happy. Hitting the sack with enough time to snooze each night may seem like no big deal, but losing sleep does have harmful effects. Learn more about warning signs that you’re not catching enough shut eye as well as the warning signs that you should seek professional help below to maintain your health and optimal state of mind via the information presented below. 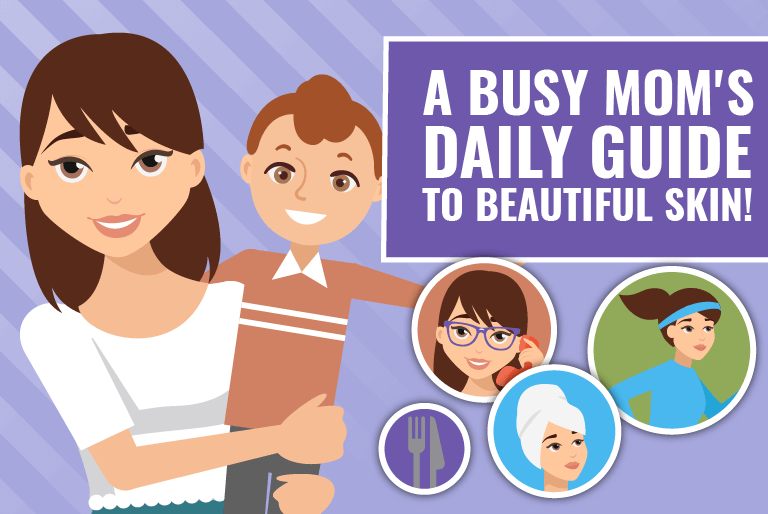 A Busy Mom’s Daily Guide to Beautiful Skin! Being a mom is a full time job and all too often the long hours and lack of sleep can contribute to skin damage. The worst part is between juggling kids’ schedules, sick days, organizing and running the household, and doing all of this around careers and extracurricular activities, it is hard to imagine them having the leisure time to devote to a skin care routine. Many of the best and easiest ways to maintain your skin take minutes or less, and can be worked into your daily routine whether at home, at the office, or on the go. Some methods are easy–keeping your skin hydrated by drinking plenty of water throughout the day or avoiding smoking–while others might be a bit more challenging to busy moms. This does not make them unattainable, however. All it takes is a little time carved out each day to turn a resolution into a daily habit. 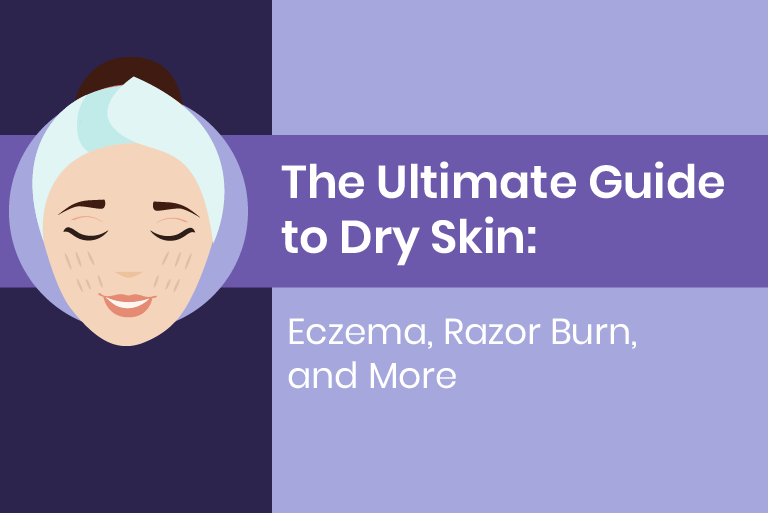 This infographic lays out the perfect daily routine to gorgeous skin, from the moment you wake up to the moment you go to bed, including the need your skin has for a good night’s rest. With this itinerary to use as a guide, you will find all sorts of ways to squeeze a beauty routine between the rest of your daily activities. 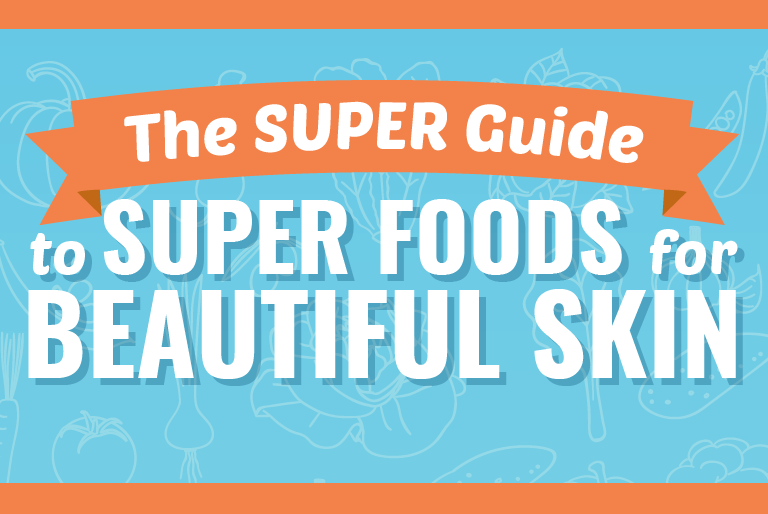 By working these tips into your day, your skin can look its absolute best! Some beauty purists only shop for organic ingredients or vegan-only products. But it’s the cruelty-free mark that is the do or die for many cosmetics enthusiasts. Beauty doesn’t have to come at the cost of an animal’s life or welfare, and more buyers are demanding and actively seeking out the bunny emblem that represents the mark of cruelty free products. In the past, choices were limited for cruelty-free cosmetics, and the search was often grueling or budget breaking. In today’s ethically-driven market, though, more and more companies are going cruelty-free. Finding the best ethical products on the market can be a matter of opinion, however, because what works for one person might be a miss on another individual’s skin. Cruelty Free International holds the mark of the Leaping Bunny that is associated with their cruelty free certification. 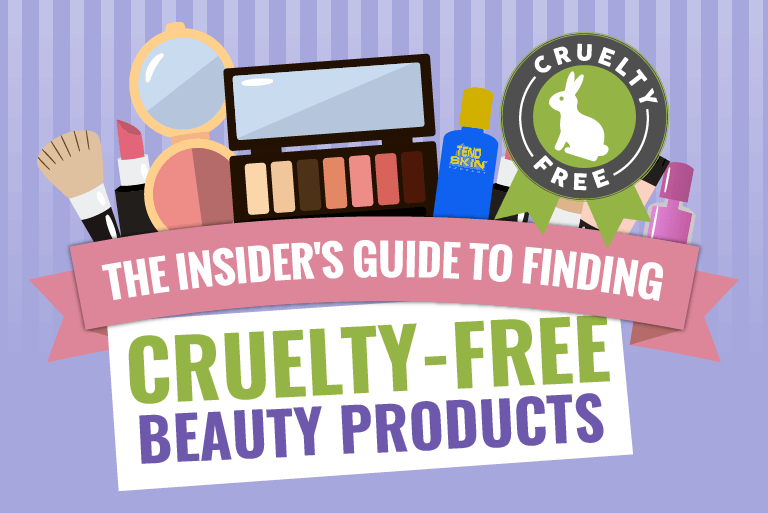 On the organization’s site, buyers can search for brands that are cruelty-free as well as vegan or vegetarian brands. You can narrow your search by product type or just type in a company name to see if it is Leaping Bunny approved. Besides the Leaping Bunny, buyers may see another bunny on noted cruelty-free brands. The bunny face with heart-shaped ears belongs to People for the Ethical Treatment of Animals (PETA). When buyers see this label, they also can be assured that the item was not tested on animals. PETA allows consumers to download an app to search for all the companies that bear their bunny symbol. Summer means lots of sun and hanging out poolside. Which means, summer is all about swimwear! Maybe you can’t wait to find that new tankini, or maybe you’re groaning in horror just thinking about those spandex nightmares hanging amongst the rack. Finding the perfect swimsuit is kind of like finding the perfect pair of jeans…it’s a lot of searching, a ton of frustration but worth it in the end.